Brand new starter, BF Goodrich Traction T/A tires, heater core, and Bosch 825CCA battery. 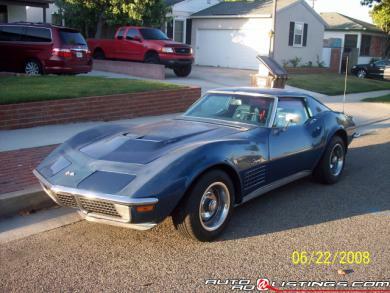 Runs good / drives great Overall condition very good. Everything works including fiber optic lamp indicators. Original 454 (numbers matching) has been rebuilt a few years back. Approx 8,000 miles on it now. Also comes with a spare 427 short block/forged steel crankshaft.